[LASD] – On Friday, June 22, 2012, at approx. 2:30 PM, Los Angeles County Sheriff’s deputies from Crescenta Valley Station, along with U.S. Department of Forestry personnel checked the license plate of a vehicle found parked in the Stonyvale Picnic area parking lot of the Angeles National Forest. The vehicle was found to belong to a reported missing person, Ertug Ergun, from Bakersfield, CA. who had been reported missing to the Bakersfield Police Department on Wednesday, June 20, 2012. Ertug Ergun is an engineer from the country of Turkey who works and resides in the Bakersfield area. He is an avid hiker and told co-workers he was going on a hike. 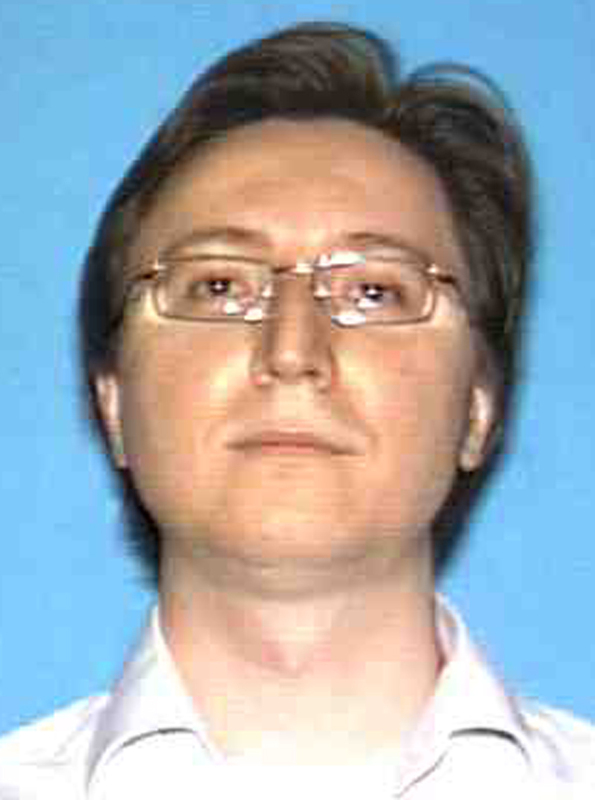 He is described as a 33-year old White male, 6’02”, 135 pounds, brown hair, and wears eyeglasses. The Los Angeles County Sheriff’s Montrose Search and Rescue Team from Crescenta Valley Sheriff’s Station was activated to search the area for the reported missing person on Friday and Saturday. Search teams, as well as search dogs and helicopters were used Saturday to search the rugged area of hiking trails from the parking area where the missing person’s car was located. Sunday, over 60 Los Angeles County Sheriff’s personnel from the Montrose, Santa Clarita, Antelope Valley and Sierra Madre Search and Rescue Teams assisted in the search for the missing person. 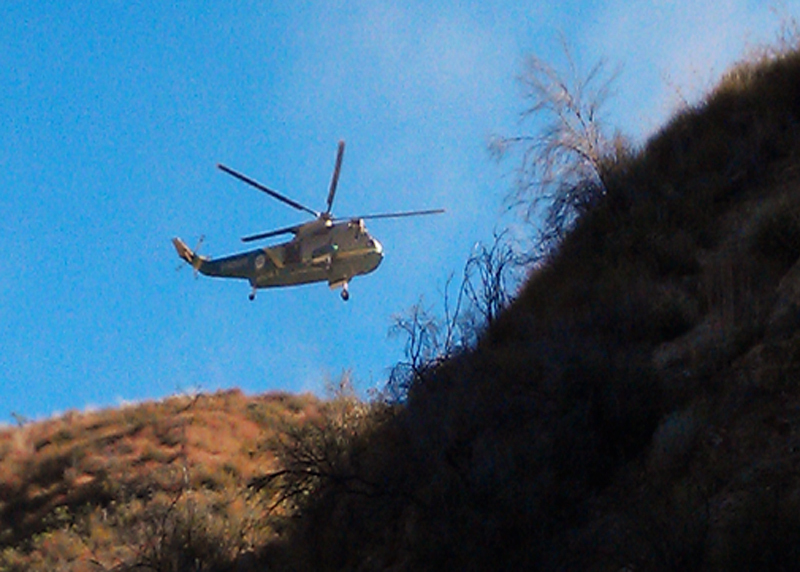 Helicopters, search dogs, horses (Mounted Posse), ground search teams and vehicles were used. In addition to full-time Los Angeles County Sheriff’s Department personnel, Sheriff’s reserves and volunteers have collectively spent more than 600 hours searching for the missing person. There were no signs of the missing man, nor was there evidence of suspicious circumstances. The Los Angeles County Sheriff’s Department continues to liaison with the Bakersfield Police Department. Searches for the missing person continue in other areas of the Angeles National Forest with off road teams and search teams. On Wednesday, June 27, the Montrose Search & Rescue Team and Off-Road Motorcycle Enforcement Team of the Crescenta Valley Sheriff’s Station, searched areas south of Mount Lucas, as deputies continue the grid search of possible routes out of the forest. The Los Angeles County Sheriff’s Search & Rescue Team members are highly skilled and participate in over 450 search and rescue operations each year. Los Angeles County Sheriff’s Search and Rescue Team personnel are reserve sheriff’s deputies who volunteer their time to help others for $1 a year, and who partner with sheriff’s civilian volunteers who volunteer for free. There are over 150 members of the eight Search and Rescue teams of the Los Angeles County Sheriff’s Department, who were activated for over 450 search and rescue missions last year, making it one of the most active counties for search and rescue missions in the nation. 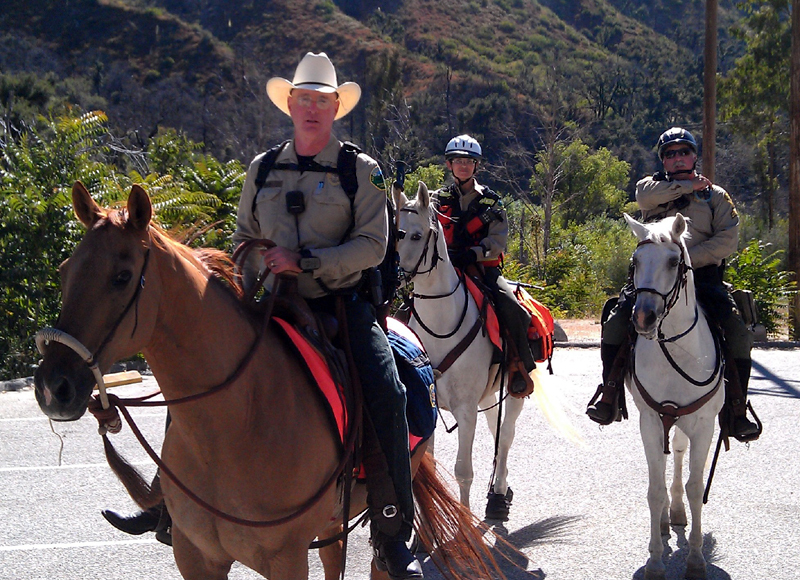 Reserve deputies and civilian volunteers are supervised by full-time sheriff’s deputies. If interested in joining our team, call 818-248-3464.